Our latest schools drawing exhibition has just been opened in The Step Up Gallery. Be sure to explore the exhibition on your next visit to The Customs House. The original story of Beauty and the Beast ‘La Belle et La Bete’ written by French author Charles Perrault has been retold many times. You might know the story from books, plays on stage and films. Most children are familiar with Disney’s versions. The iconic animated version has certainly inspired lots of young artists across South Tyneside! As you will all be aware this year The Customs House has put its unique spin on this classic tale. These drawings have been really imaginative. Every child who took part has at least one drawing in this exhibition. Disney’s versions have inspired many of the drawings. I think the children will be surprised and delighted by The Custom House’s hilarious and heart warming version. The exhibition will stay up for the duration of the pantomime so you’ll have lots of chances to take a look at South Tyneside’s young artists work. 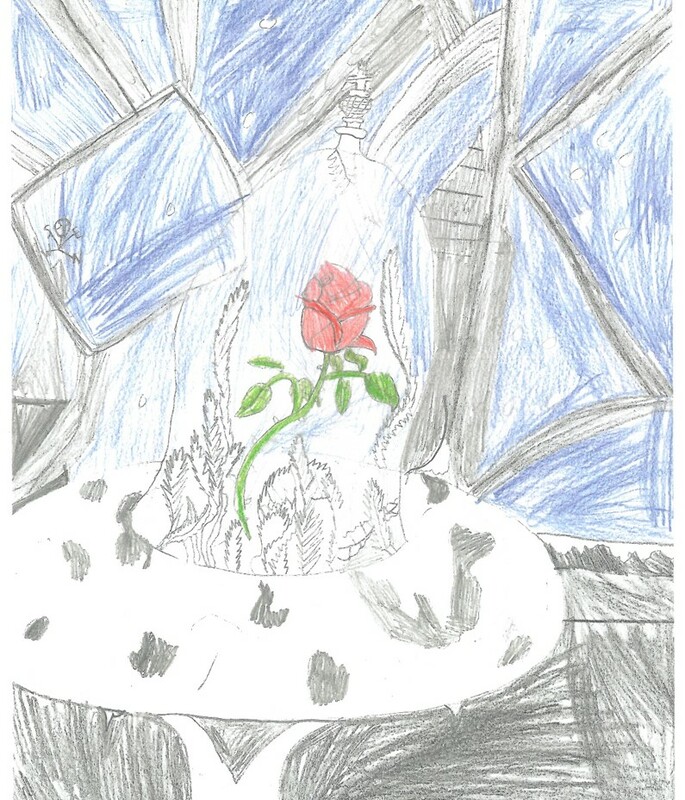 And of course we will bring back the school’s drawing challenge next year taking inspiration from The Customs House 2019/20 pantomime Snow White. Thank you to Amy Emmerson at Harton Primary and Darren Hymers at Dunn Street. Thank you to all the teachers who made time for their learners to create their artworks. It’s so important children have time to make imaginative drawings. We will definitely do this again next year inspired by our Little Panto with the Big Heart Snow White. 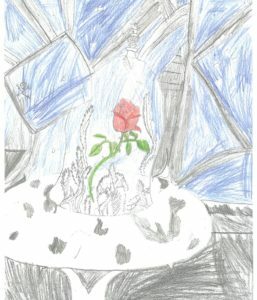 We hope visitors enjoy the young artists’ work, and of course come along to the Little Panto with the Big Hear ‘Beauty and the Beast’. The Step Up Gallery was made possible with the support of The Rotary Club of Jarrow with Harton.